New England will receive the Legend Award at this year’s seventh annual Limelight Magazine Music Awards ceremony that will take place at the Spire Center for Performing Arts in Plymouth, Mass, on Saturday, March 21, 2015. After touring extensively throughout most of 1979, they released their second album Explorer Suite in 1980 and their third album Waking Wild in 1981. The band also spent a lot of time on the road, touring with bands such as AC/DC, Journey, Kiss, Rush, among others. They eventually broke up due to a lack of support from their record label. 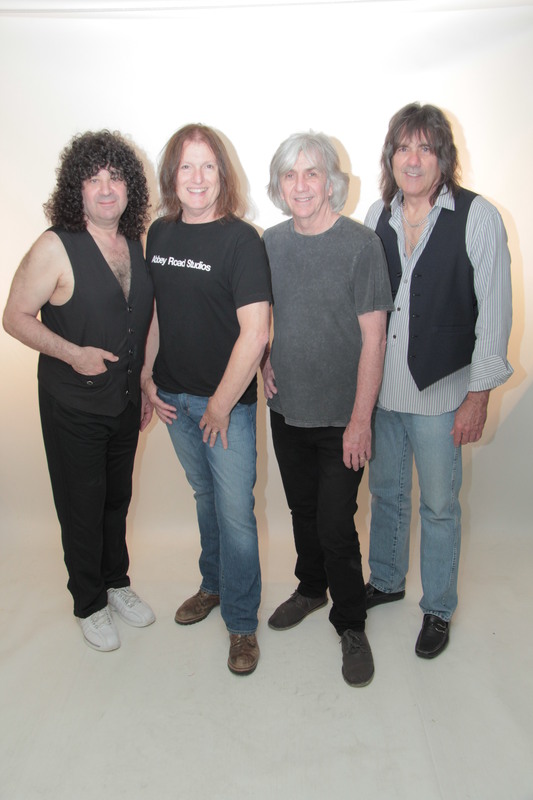 While New England reunited for a few short sets since then, they performed their first full length concert since 1983 at the Regent Theatre in Arlington, Mass., on August 15, 2014. They are now gearing up for the release of their first new album in over 30 years and are ready to start a new chapter in their career. The Legend Award is presented annually to a band or musician from New England who has been around for at least 25 years and is still going strong today. Past recipients of this award include Extreme (2014), BOSTON (2013), The Fools (2012) and MASS (2011). Tickets for the awards show are $10.50 in advance and $13 day of show. They can be purchased online HERE.